When we surf the web we are tracked by numerous advertising companies, including Google and Facebook. Because this proces is mostly invisible, we are less likely to understand or care about its implications. 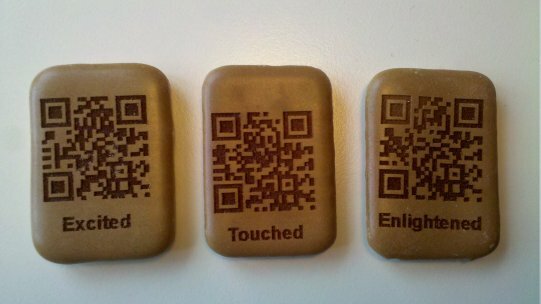 In order to get people to understand and talk about this tracking I came up with a way to create actual cookies that track your movement in public space. 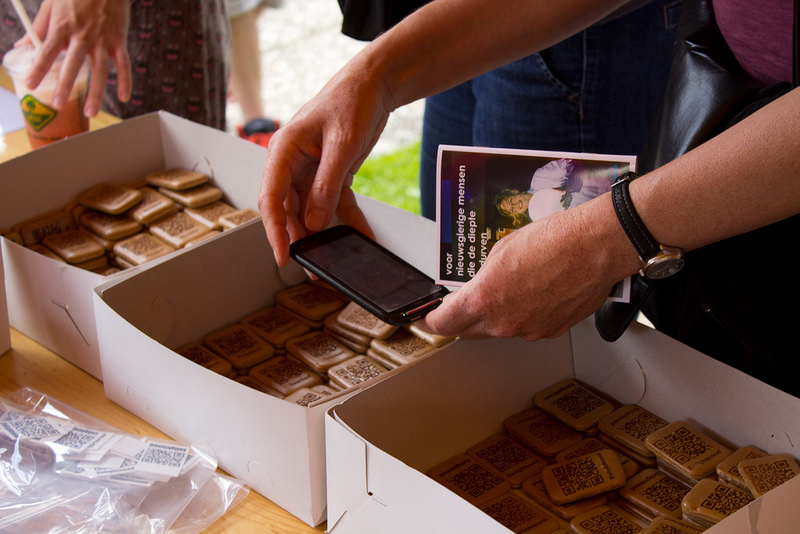 Visitors to the Beschaving festival were given three cookies that each had a different QR-code as well as the name of an emotion lasercut into them. 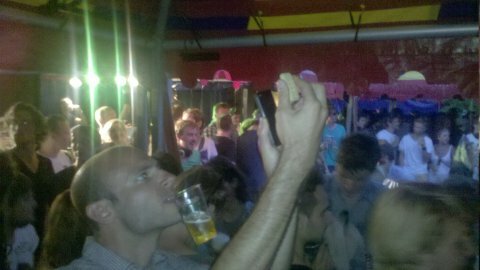 We instructed people to walk around the festival, and when they felt the corresponding emotion, they should scan the cookie with their mobile phone and then eat the cookie. By scanning the cookie with their phone, we were able to determine when and where the cookie was scanned, as well as which emotion it corresponded to. This allowed us to generate a emotional map of visitors’ experiences. It became quite clear which events got people excited, offered them enlightenment, or made them feel touched. The project was a double edged sword. Handing out the cookies became a chance to talk to people about online tracking, but at the same time the project itself was a novel form of tracking. A classic conundrum. The project was repeated at the Helsinki World Design Capital. Someone scanning a tracking cookie. Production was organized by Linda van de Fliert. The lasercutting was generously done by Bas Pijls and other HvA staff. 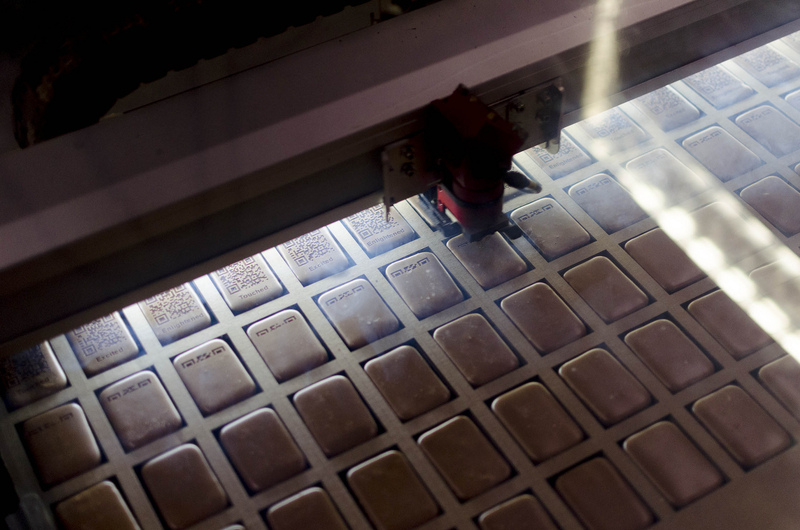 Photos of the festival and the lasercutting proces are available on Flickr.